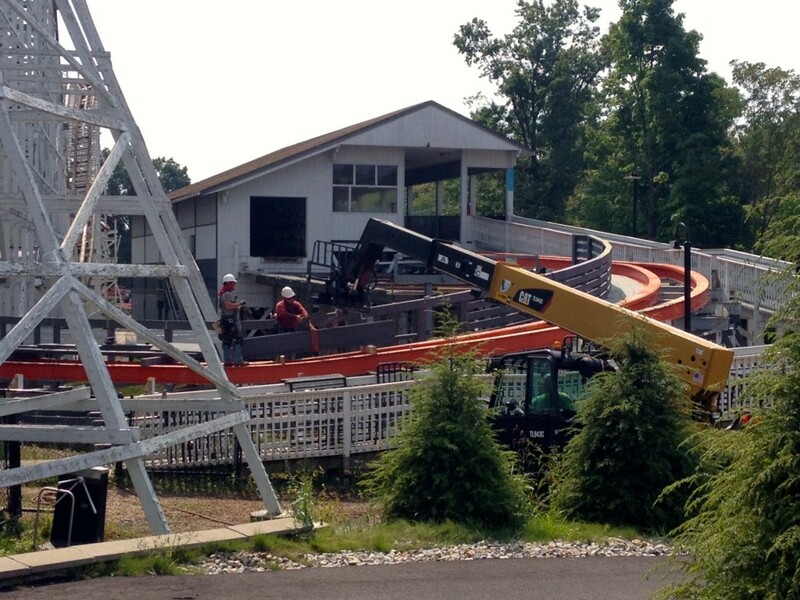 More track has been installed and work on the catwalk has commenced… Here is Wicked Cyclone construction update #7. 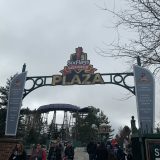 We were at ACE Riding of the Bull at Six Flags Great Adventure this weekend, so we weren’t there to check out Wicked Cyclone’s construction in person. Because of that, this week’s pictures are provided by Dennis and Dennis Jr., Dylan, and Robert. Huge thanks to the four of you! These next two pictures are from the end of the day. That gray color for the wood has grown on me. What about you? 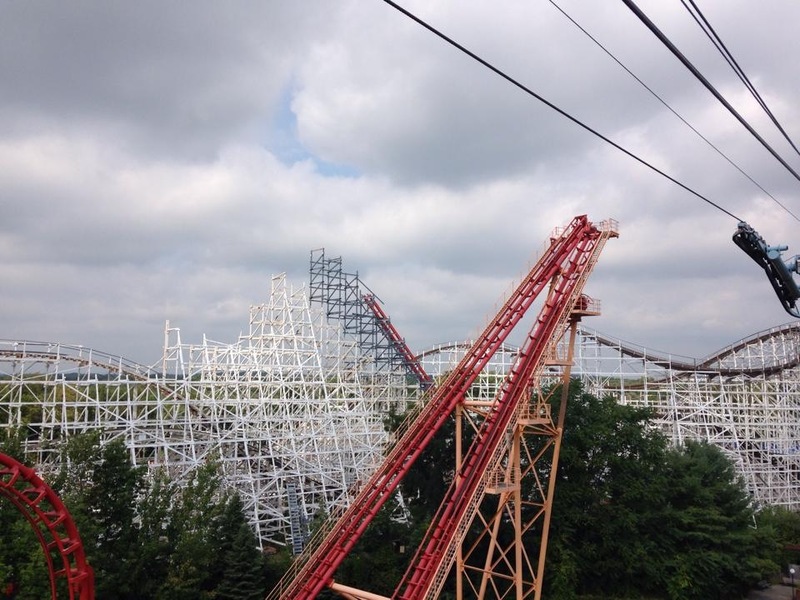 If you look closely in this picture, you can see the skeleton for the lift hill catwalk on the right side of the track. 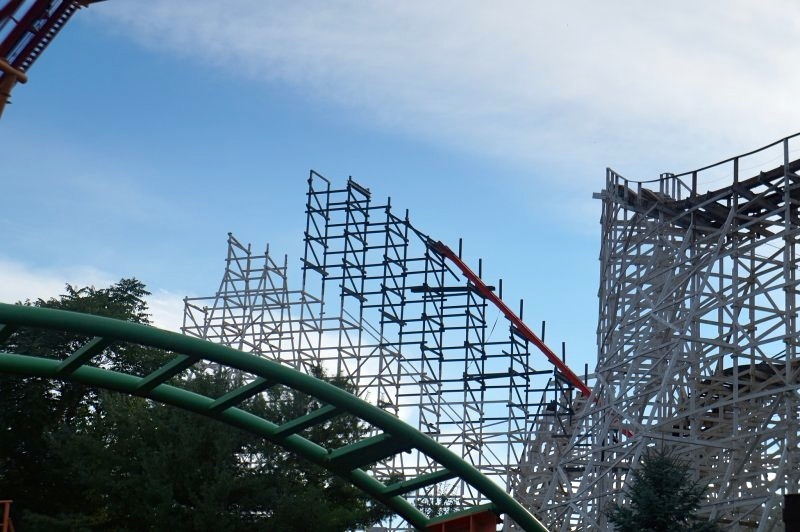 Speaking of the lift hill… A lot of progress was made since last Monday’s update. 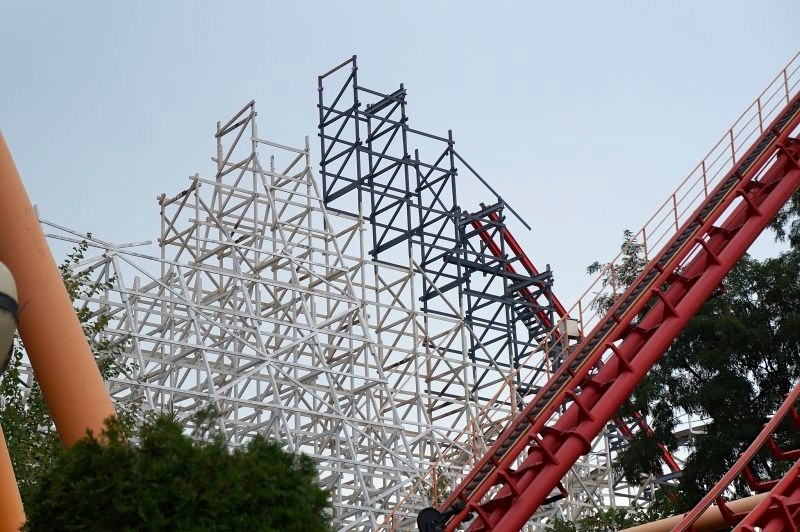 Now that the park’s closed, I’m sure we’re going to see a ton of progress like this each weekend. 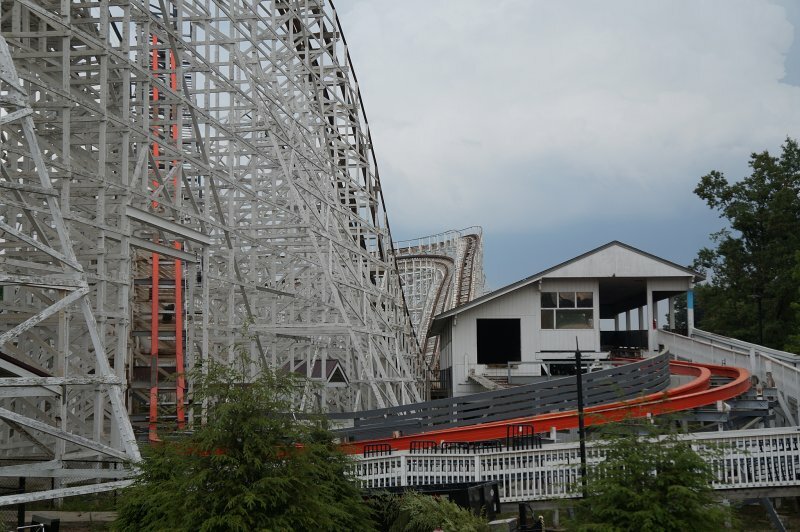 Based off of the Wicked Cyclone renderings (click here for pictures), it looks like there are only two more bents left to be placed until they start working on the 78 degree first drop. 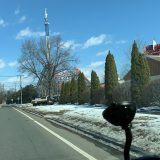 This is a good shot from New England Skyway. Side note: get your last rides in on New England Skyway before it closes for good at the end of the season. 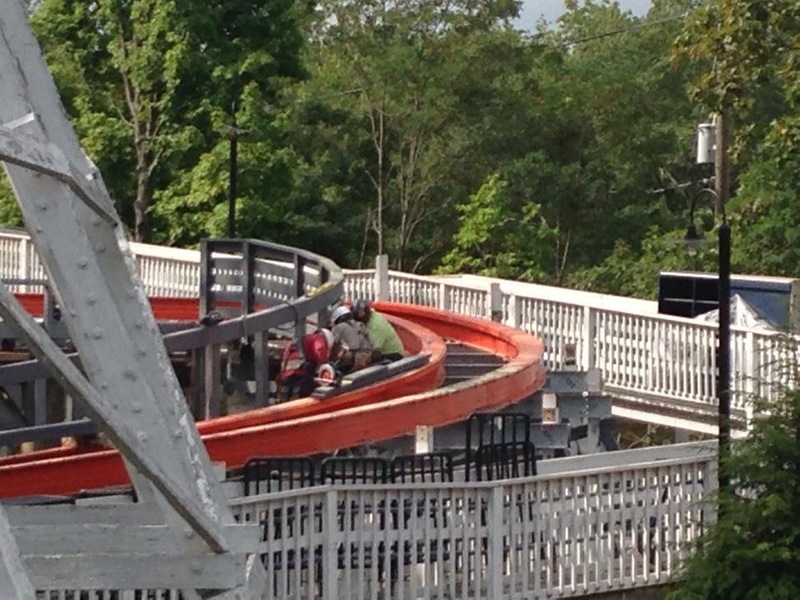 This shot shows how much steeper this new lift hill will be. 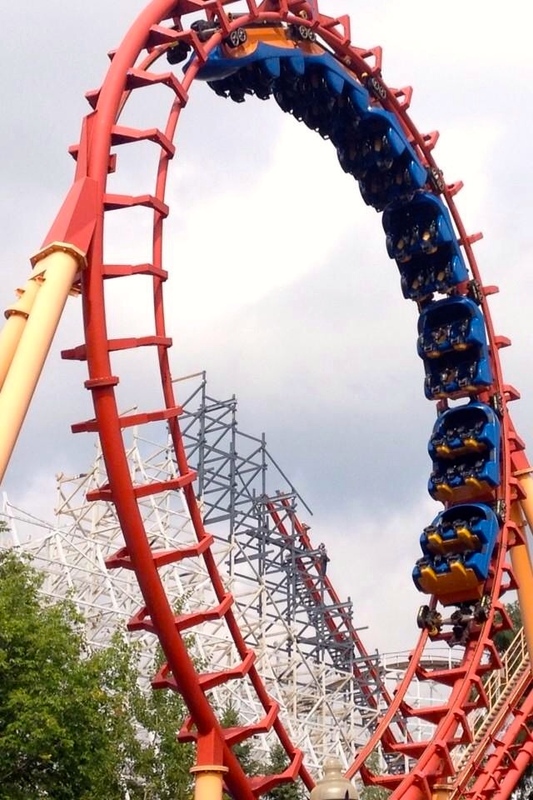 The old lift hill ran where the new bents are connected to the old ones. You can also see how the bents are starting to round out at the top. 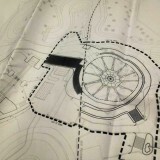 This is where the crest of the lift hill will be. 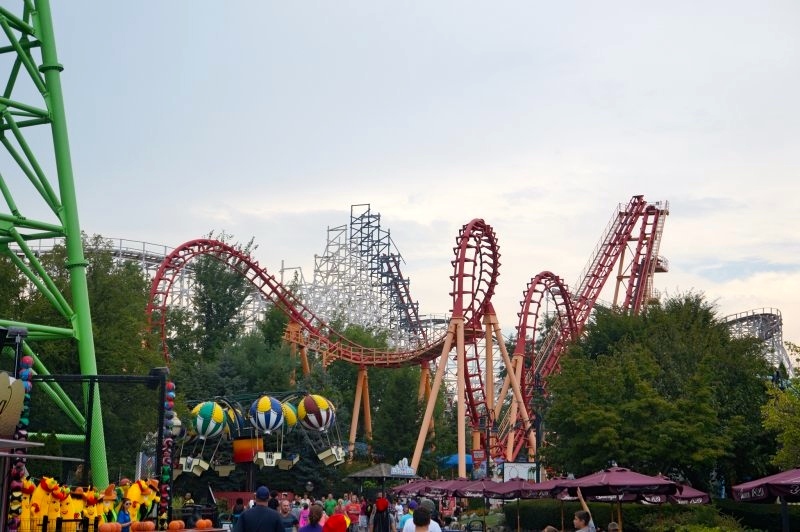 Pure speculation here, but I think they may have Wicked Cyclone topped off before the end of the season. Wouldn’t that be something? 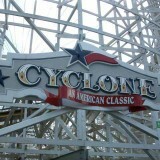 As you could probably see from these pictures, there is still a lot of original Cyclone track that needs to be removed. 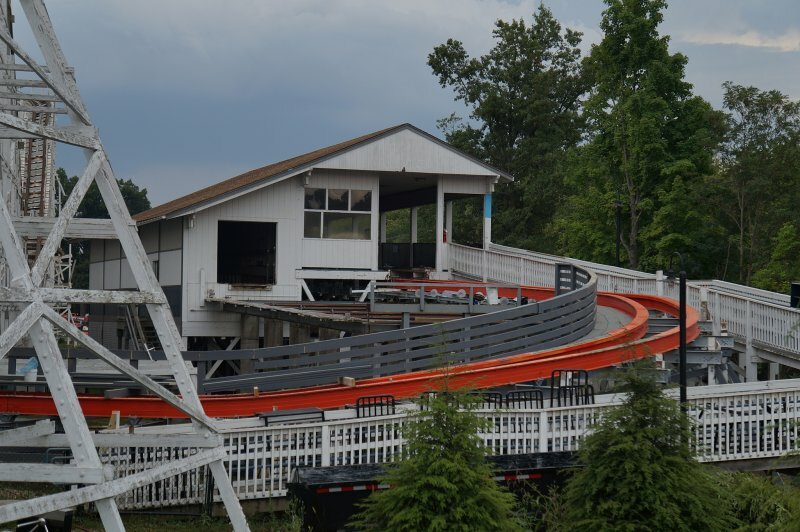 Right now the I-Box track starts on the brake run and goes all the way up the lift hill. 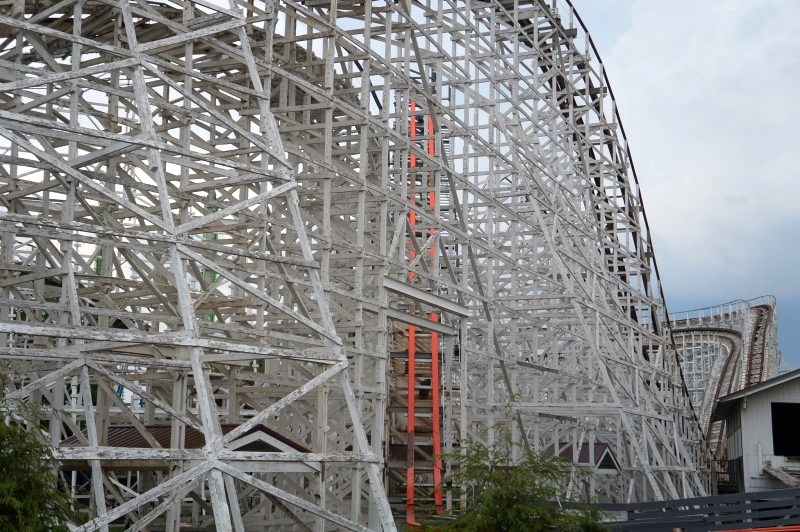 I have a feeling that the next pieces of track to be removed will be from the drop by the station. 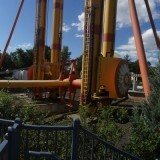 With Wicked Cyclone, that drop will be transformed into a double down element that then leads into an airtime hump. The RMC crews are working on Saturdays, so they will be able to get a ton of work done before the bad weather hits. I imagine that most of the track work will be completed by February at the earliest. 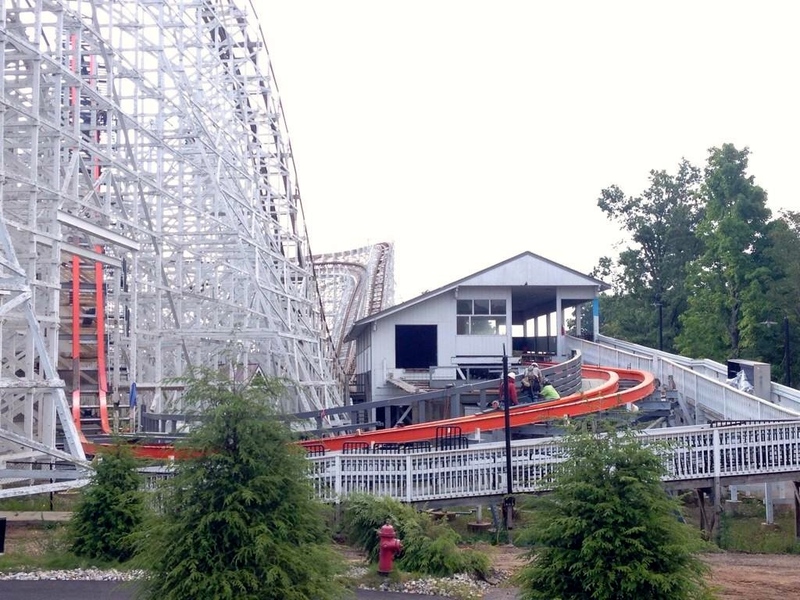 Could Wicked Cyclone open with the park in April? I’m sure it could. But will it? I seriously doubt it. 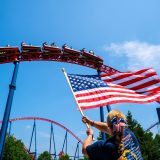 Sure it would be nice, but this is Six Flags, not Cedar Fair or Herschend, or any other amusement park operator in the U.S for that matter. Haha. This concludes the update for this week! Check back next weekend for more. We’re aiming to do an update every week until the end of the season. Then, once the off season comes around, we’ll try and provide an update every other week or so. 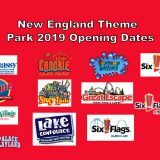 This is an exciting time to be a New England theme park fan! 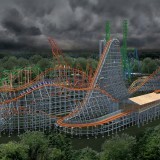 Previous story Poll: What do you think about Wicked Cyclone?